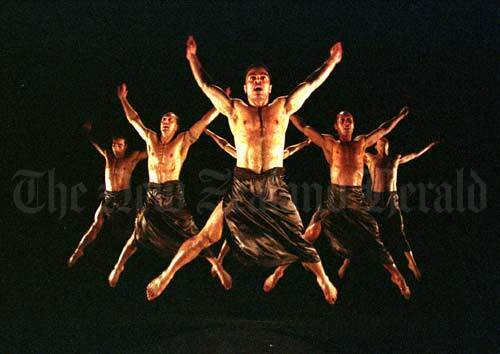 Founded in 1995, Black Grace is a professional dance company of Polynesian male dancers. The Pacific heritage of the dancers is reflected in the choreography of many of their works. They are seen here in rehearsal in 2001.